While celery works perfectly as the ubiquitous swizzle in a bloody Mary cocktail or the healthy, go-to lunchbox vegetable, it also works either raw or cooked in soups, stews and salads and side dishes. Raw celery has a refreshing and earthy appeal and cooked celery provides both aromatic flavor and aroma as well as creamy texture. A good source of vitamins A and C, celery deserves to be a big part of your cooking repertoire. 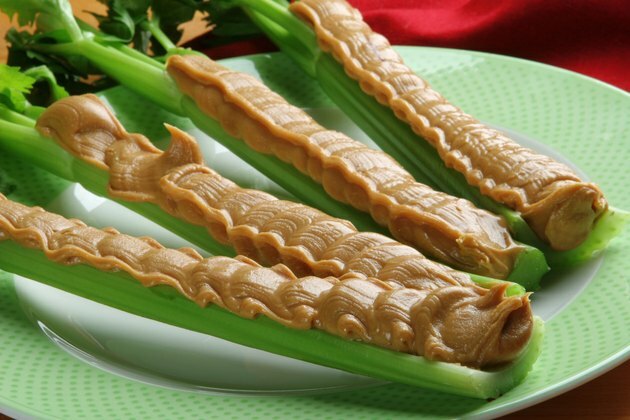 Children appreciate celery in the classic ants-on-a-log recipe, made from stalks stuffed with peanut butter and dotted with raisins, but adults need more sophisticated flavors. With their scooped shapes and light, astringent flavor, celery stalks are ready-made for rich dips with Parmesan, feta or blue cheese or creamy hummus with plenty of garlic. Sliced celery provides crunch and cuts the richness in tuna sandwiches and chicken or potato salads with mayonnaise. Celery brings fresh flavor and crisp texture to dishes as varied as elegant sea bass in a clear broth, with extremely thin slices of celery, to earthy beef stew, chicken pot pie, gumbo or jambalaya, where more thickly sliced celery pieces mingle with an assortment of other ingredients. Herbs and spices that work well in soups and stews and that have a flavor affinity with celery include basil, bay leaf, chervil, chives, dill, paprika, tarragon and thyme. Named after a French chef of the Duke Levis-Mirepoix, a mirepoix mixture made with 2 parts onions to 1 part celery to 1 part carrots gives flavor and aroma to meats, stews and stocks, and is a classic way to eat celery. When the aromatic vegetables are cooked until they're soft, and perhaps supplemented with parsley, bay leaves or garlic, they give dishes sweet flavors balance rich meats and add depths of flavors for any sauce. Braising celery in liquid, such as stock or canned tomatoes, gives it a soft, creamy and melt-in-your-mouth texture. Braise the stalks either in the oven or on the stovetop in a covered pot at low temperatures for about an hour until the stalks are tender when you pierce them with a knife. For extra flavor, add buttered breadcrumbs or crumbled cheese and place the dish under the broiler for a few more minutes. Fruits &amp; Veggies More Matters: Celery: Nutrition. Selection. Storage.